Question: Tell us something you're passionate about and why. Answer: What am I passionate about? Ah! Easy: Avocado toast and Saturday Night Live! That answer isn’t what employers are looking for, so easy it is not. But why would they ask me about passions in the first place? Do they want to hear that I’m passionate about work? What if I don’t have any passions? Why recruiters ask you: “What are you passionate about?” and what they really mean. What to do if you don’t know what you’re passionate about. The best "what are you passionate about" answers and examples. And a formula to come up with a truthful answer that really works. Get expert resume tips from recruiters. Edit and download your resume in minutes. Start getting more job offers. 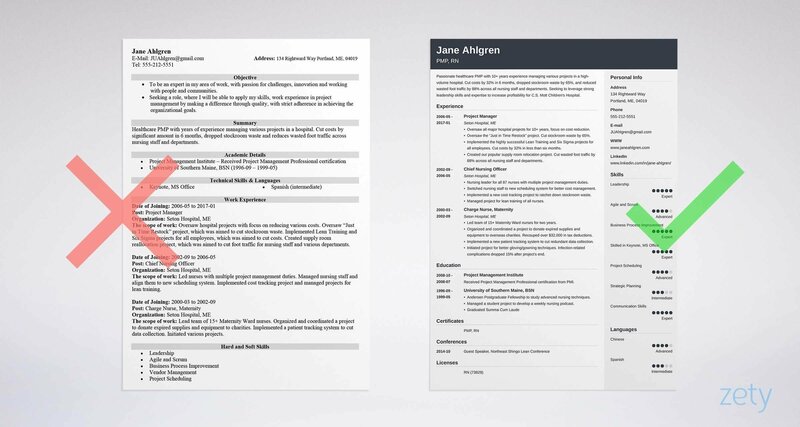 See 20+ resume templates and create your resume. If you want to turn every interview into a job offer, get our free checklist: 42 Things You Need to Do Before, During, and After Your Big Interview. Make sure nothing will slip your mind! 1. What are you like outside the office? Yes, it could be as simple as that. A recruiter may want to get to know you as a person beyond the resume. Do you have a life outside of work, or is your work everything you have? Are you a well-rounded candidate who’s already set priorities in their life? Your passion gives the recruiter a glimpse into the values you believe in. 2. What additional value can you bring to the company? You’re in a job interview, which means your skills and experience must be impressive. And since you’ve decided to apply, the job itself must also be interesting to you. But what is your mode of work? Will you be a thorough researcher? A good team player? A patient mentor? But, most importantly, companies want to know if you’re a cultural fit. If you share a passion or two with the team, you’re their kind. 3. What are your motivational traits? The recruiter may be interested in how driven you are by the things that fascinate you. In other words, they want to find out if you can take on a task and stay motivated until completion, if the task is something you really love doing. Your answer will help the recruiter gauge your commitment and understand your motivation. 4. Do you fit the company culture? A company thriving on experimentation and pushing the envelope may want its employees to be just as adventurous. If your passions make you step out of your comfort zone and venture into the unknown—you may be a perfect fit! And it doesn’t mean you have to be a BASE jumper—street photography can be just as challenging. On the other hand, a company that has a more traditional culture may be looking for other types of candidates. 5. How do you behave when at ease? No matter how relaxed you try to be, it’s really hard to get rid of the nagging thought that you’re in a job interview. The question itself is pretty casual, which may help you cope with the tension. Your body language will change: you’ll be more animated, a smile is likely to appear on your face, and the relaxed you will take over the tense you. And that’s precisely what the recruiter wants to see! The question “What are you passionate about?” is rarely about the passion itself. It’s a question about your personal values, work values, and motivations. The recruiter may also want to see a connection between your passion and the position you apply for. How to Prepare? What to Expect? Now that you know the possible double meanings in the “what are you passionate about” question, let’s see how to prepare and what to expect! This may come across as obvious. How do you define your passion? Is it a physical activity? An intellectual pursuit? An abstract idea? Is passion the same as a hobby? And in the context of a job interview, the last thing you want is to misunderstand a question and give an irrelevant answer. Passion is much more than a hobby. It verges on obsession and craziness. It can be a physical activity: sailing, cooking, gardening, travelling—you name it. It can be an intellectual pursuit: quantum physics, playing chess, learning new languages—it’s up to you. It can be an abstract idea: altruism, animal welfare, competition—the sky’s the limit. Pro Tip: You don’t know how to identify your passion? This will help. The measure of passion is time and effort you’re willing to devote to it. Passion is what drives you. Unless you’re Jack Nicholson, you can’t fake being genuinely passionate about something you’re really not. Your enthusiasm will show through! You must be ready to sustain a longer conversation on the subject. Your enthusiasm may prove infectious. If the recruiter gets genuinely interested in your passion, they may want to learn something more about it. It may also be the case that you and the recruiter share a common passion. That’s great! You’ll have a chance to establish rapport with them on a more personal level. The why part is where you can really shine. Why your passion has come to mean so much to you. Why you are willing to devote time and effort to pursue it. How it shapes you into the person you are. How devoted you are to pursuing your passion. Think about the connections between your passion and the nature of your job. You might want to take another look at the job description to find any links between what’s expected of you and what you’re passionate about. Yes, there are some dangers you should bear in mind. Say, you’re passionate about a healthy lifestyle. Does this mean you’re a responsible employee, who will go to great lengths to stay in perfect physical and mental condition? Or are you anxious about your body, constantly preoccupied with the way you look, always on a diet, and never entirely happy with yourself? People may see things in different ways. Think about your passion from a couple of viewpoints. If need be, reassure the recruiter they have nothing to worry about! After all, too much of a good thing is not such a good thing. Sometimes you need to do like Larry David and curb your enthusiasm. Ever so slightly. Don’t let the recruiter get the impression your passion may put your work under threat. If you’re an avid BASE jumper whose ambition is to jump off 20 skyscrapers a month—maybe it’s better to keep some things to yourself. Honesty is not about telling everyone everything. It’s about dispensing the truth at a situation-adequate rate. Pro Tip: The question “What are you passionate about?” is a chance for you to show off the skills the recruiter is looking for. Maybe it’s just a matter of the definition? Anything can be your passion. And that includes volunteering, altruism, the quantum nature of consciousness, collecting Star Wars merch, solipsism in the works of Roger Zelazny, birdwatching, or what-so-ever else. Find an activity you couldn’t live without or an idea that fascinates you. It may not be easy to find the answer instantly, but it’s definitely worth the effort. Oh, and let’s be honest: video games or comic books graphic novels might not resonate with the employer, so make sure hobbies like that fit in with the company culture. Don’t overdo it. Too much of a good thing is not such a good thing. I’m passionate about the idea of competition. It’s something that’s been driving me since I was very young. I’ve always considered competition equally important on the team level, and individual level. As a boy, I played in a football team. I always knew I had to push myself to the limits for the team to win the game. I wanted to be the best, sure, but I wanted to be the best so that our team could be the best, The success of the team was always a small victory of my own. A strained muscle was no excuse to sit it out. You know, I literally had to be knocked down to let go. Of course, as you grow older, you become more aware of your capabilities and limitations. You learn how to ask for help and see the synergistic nature of teamwork. But it’s the passion for competition that keeps pushing me forward. In fact, I think it’s the very reason why I become a salesperson in the first place. I’m passionate about astrophotography. I think I’ve always been fascinated with the beauty of the sky and the expanse of the universe. Astrophotography not only allows me to see what the eye can’t see, but it requires me to be methodical, well-organized, patient, and ready for the unexpected. You must learn how to take pictures, for one thing. But you also need to plan your shots, locations, and take all the necessary gear. Taking astrophotos calls for precision and patience. Even so, the final result can sometimes really take you by surprise! And sometimes… well, you may plan for everything, and it turns out that your 3-hour hike to find the dark sky in the middle of the night was all for nothing when a thick carpet of clouds appears out of nowhere! A couple of years ago I was really mad when something like that happened. But in time, I learned to shoot pictures of clouds and always have a backup plan. And, you know, the universe, its vastness—it really helps me order my thoughts, and look at things from a different perspective. My passion is knitting. I’ve been in love with wool from a very young age. I remember the softness and coziness of the sweaters my mother knitted for me. The uniqueness of handmade garments is something that really drives me. You know, I love it when I’m able to carry out an idea from conception to completion: when I can be entirely independent throughout the creative process, and find ways of coping with challenges along the way. Knitting requires patience, precision, focus, and vision—some of these qualities I already have, and through knitting, I can develop the others. Plus, knitting puts my mind at ease. It’s one of those things that let me wind down completely. And, with my mind at ease, I generate new ideas! So, my passion for knitting is a kind of self-propelling mechanism of relaxation and creativity. And, you know, at the end of the day, I have all the sweaters, hats, and scarves I need! And my friends and family love them as much as I do. To be honest, there are many things that drive me. But if I were to pinpoint one common denominator for them all, it would be curiosity. I always start with why. Why people do what they do. Why some things work and others don’t. A good question is the beginning of an inspiring journey to me. And it’s this journey that really pushes me forward. What I find fascinating is that along the way I can also explore the ways for me to have an impact, you know. I learn how to make people around me better, and how I can be a better person. Really, I think it’s this very curiosity of mine that pushed me towards dabbling with photography and graphic design. To travelling off the beaten track. To hitchhiking. To learning calligraphy. And ultimately to studying psychology and becoming a marketing analyst. I’m passionate about traveling and exploring new cultures. And I don’t mean going on package holidays to a different location every year, no. I’m in love with the culture of East Asia. Each year—for two or three weeks—I explore an Asian country’s way of life. I try to stay as close to the people as possible. I take as little luggage as I can, and enough cash to survive a couple of days. I book a hotel for a single night, and then—I need to get by! I mix with the locals, take odd jobs for a couple of days to afford the food and a place to stay. I sometimes sleep on the beach, though. I hitchhike from one village to the other. Listen to the stories locals have to share, eat their food, get to know them. To me, this Asian culture of hospitality and openness is fascinating. I rarely have any goals set when I travel, the journey itself is intriguing enough. All the more so, when you don’t know the final destination. Feeling nervous before your interview? Stay calm and download our free ultimate checklist 42 Things You Need to Do Before, During, and After Your Big Interview and make sure you ace yours! There’s more to the question “What are your passions?” in a job interview than meets the eye. The recruiter may be much more interested in how you answer the question than in your passion itself. Your answer will help the recruiter get to know you on a more personal level, learn about your values, and understand your motivation. Be prepared to sustain a longer conversation on the subject. Know why your passion is your passion. Stay reasonable. Reassure the recruiter your passion will not eat into your working hours. Are you struggling to answer the “what are your biggest passions” question? Not sure what's your passion? Give us a shout out in the comments! Maciej is a career expert with a solid background in the education management industry. Worked with people at all stages of their career paths: from interns to directors to C-suite members, he now helps you find your dream job. How to answer tell me about yourself. Examples, samples, and expert tips for interviews. Introduce yourself quickly, impress employers, and get the job. All you need to know about the STAR interview method. Learn the STAR format to answer behavioral interview questions and ace your next interview. List of top job search sites: online boards, search engines, and employment websites plus 15 niche alternatives. With expert advice on finding a job fast.